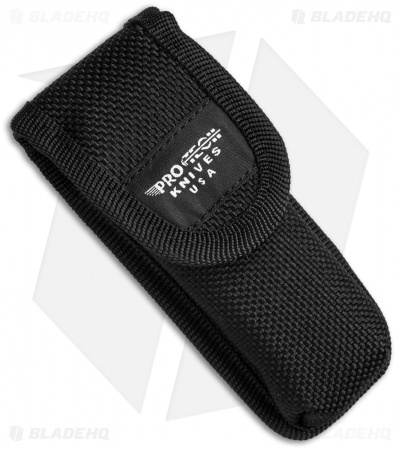 This TR-3 Automatic is an awesome offering from Protech Knives. It features a 6061-T6 aluminum handle with a "coin struck" skull & bones inlay designed by Bruce Shaw. 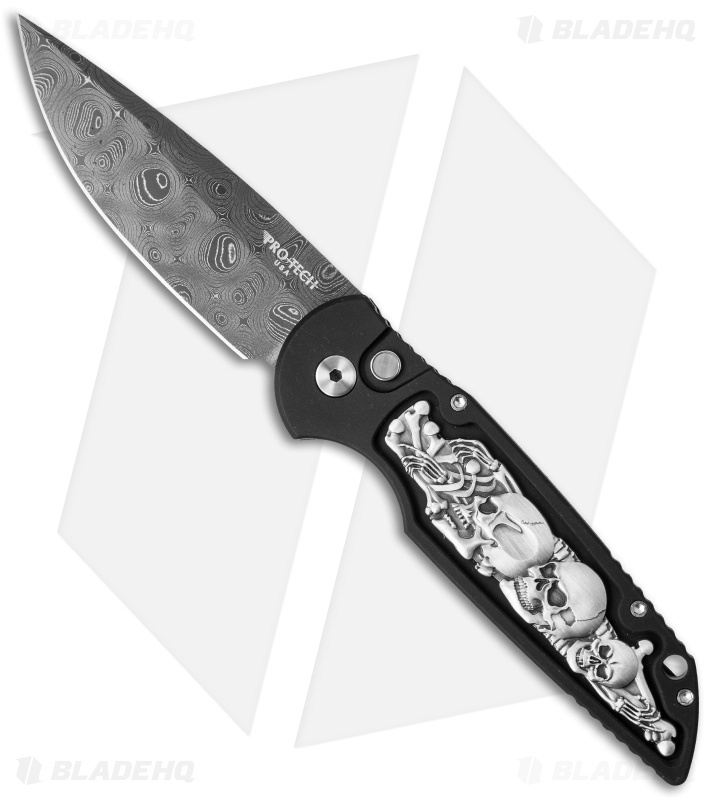 The blade is Chad Nichols stainless Damascus steel. 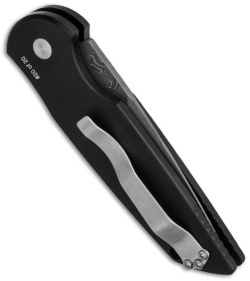 Satin finished titanium pocket clip. Limited edition run of 20 knives.